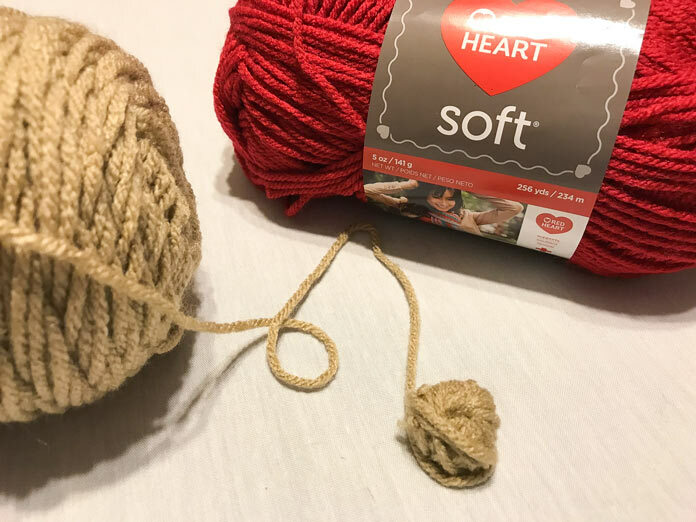 The Easy Wrap Holiday Ornament I talked about yesterday is the fastest way to use up your leftover yarn and make it purposeful. I know I will be wrapping a few of those ornaments now and then throughout the year as leftovers appear. I’ll be set for the 2018 holiday season. Looking for more ideas, I couldn’t scroll past the opportunity to knit a yarn basket ornament. There’s no way I’d miss out on that. Any knitter who travels with their knitting, is usually known for having fiber and two needles on hand at any time. There are some of my friends who find great amusement in this. The knitted yarn basket product photo from the Red Heart website. The pattern for this adorable Knit Basket of Yarn Ornament, like the others I’ve covered this week, has a very easy construction. The basket is comprised of a square of seed stitch, and an elongated piece of garter stitch for the handle. Everything is seamed afterwards to create the basket, then you wind up 1” balls of yarn to go in the basket. 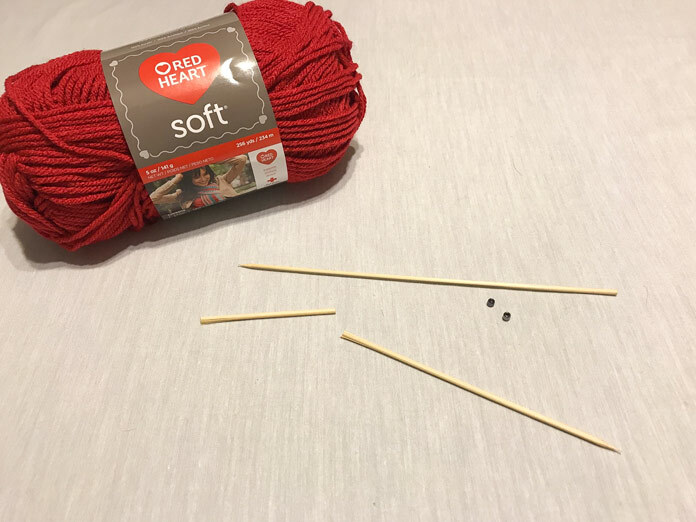 I really love the idea of the tiny little balls of yarn because they don’t have to match, or be really special in anyway. They just have to be fiber. 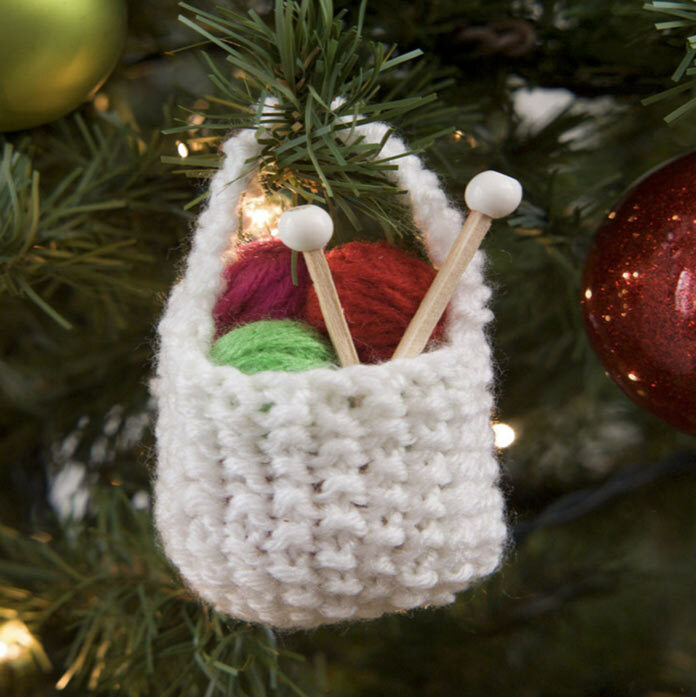 I think it would be a really interesting gift, if you’re the kind of person who knits for people for Christmas, to knit their gifts, then make an ornament with the leftover yarn from your project. Brilliant! I’m really in love with the two little knitting needles that go in the basket. The pattern calls for tooth picks, but I didn’t have any. I did have some skewer sticks, which are quite large, so I cut them down to size. You’re really able to get creative with the beads on the ends as well. I have a whole whack of beading supplies so it was not hard to find beads, but to choose them was the difficult part! In the pattern it just says to glue the ends of the tiny wound balls into place and put them in the basket. I full-on glued them into the basket. I’m not sure if everyone carefully wraps and lovingly places their ornaments away for the season, but the ones that aren’t breakable usually get thrown into a shoe box. I wanted it to stay together and look good for next year. Cutting down the skewers to size and gluing the beads on the ends. Join me tomorrow for my last installment of using up leftover yarn.